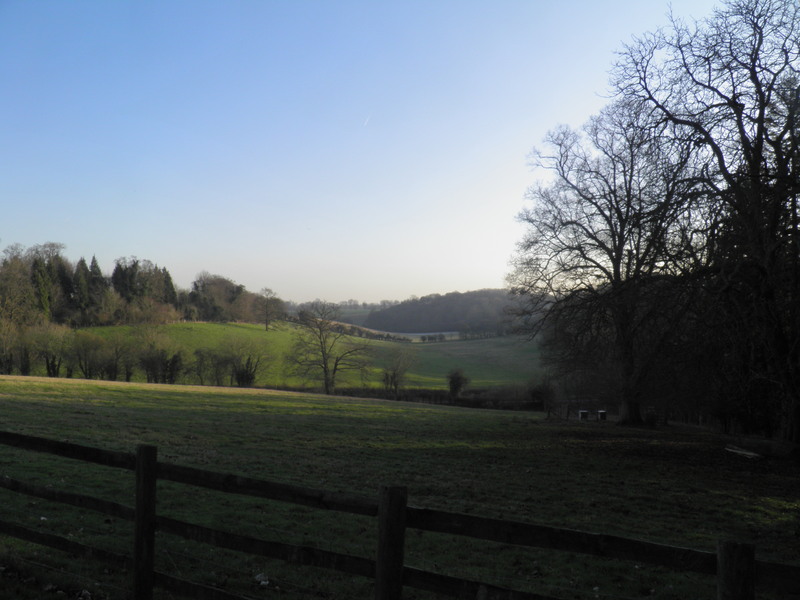 A rewarding trek through Thames valley parkland, then climbing to the high fields and beech woods of the southern Chilterns, wandering through picturesque villages, before returning to the Thames at attractive Henley. 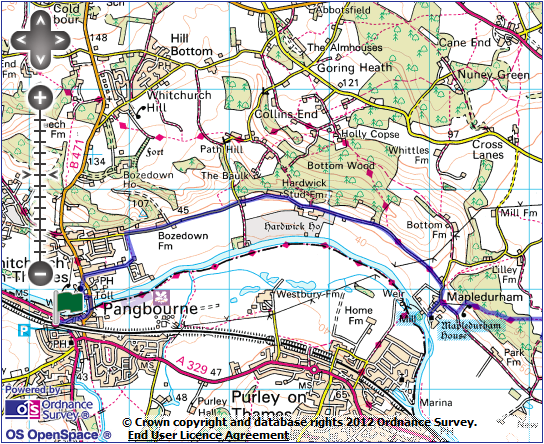 Underfoot: Minor roads and firm paths along the Thames valley, then generally firm paths, but with muddy sections on paths and bridleways through some of the beech woods. Terrain: Generally gently undulating, but with a couple of sharp climbs out of and into the Thames valley. 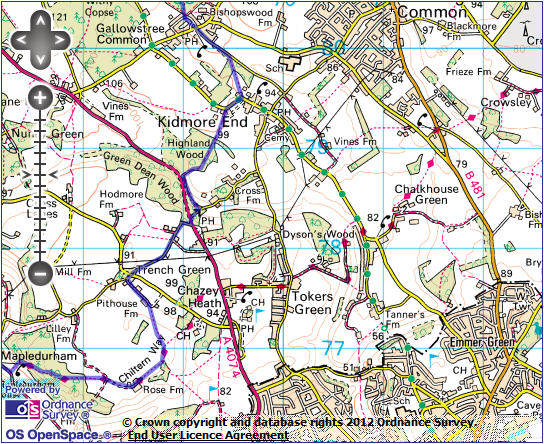 Maps: 1:50,000 Landranger 175 Reading & Windsor; 1:25,000 Explorer 171 Chiltern Hills West. Getting there: Two trains an hour (one on Sundays) runs from London Paddington to Pangbourne (64 mins) via Ealing Broadway for Central and District lines (57 mins). From London Paddington, it is often faster to take one of the frequent non-stop services (heading for the West of England or South Wales) to Reading, and to change there for a service to Pangbourne. Online journey planners will show you when this is the case. 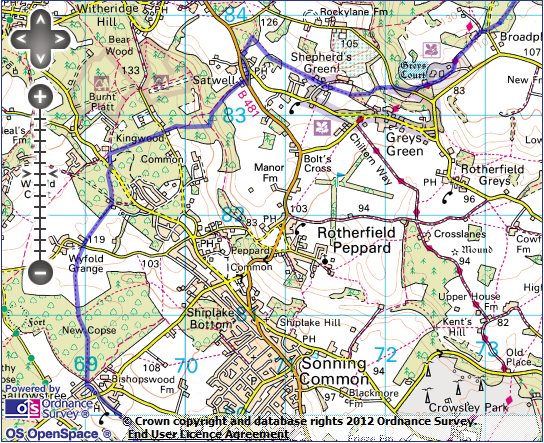 Useful websites: Parts of the route follow the Chiltern Way Extension. You pass the house and mill at Mapledurham and the Tudor mansion at Grey’s Court. 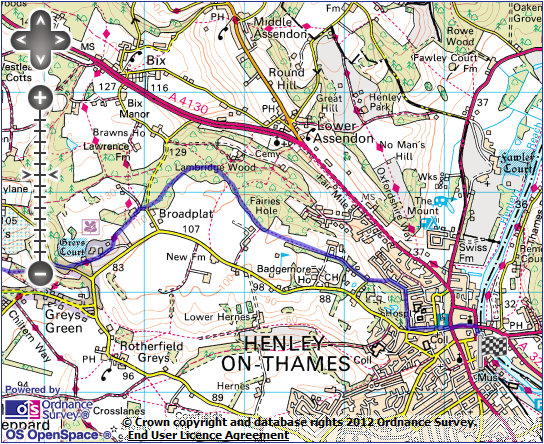 Getting home: Henley-on-Thames is situated on a branch line, meaning that a change is required to return to London. Trains run hourly every day from Henley to Twyford (12 mins), from where there are two trains per hour (one on Sundays) to London Paddington (51 mins) via Ealing Broadway (40 mins) for District and Central lines. Fares: You will need to purchase two tickets to cover these journeys. A London to Pangbourne return for £17.00 (£8.50 child, £11.20 railcard) will cover the outward journey, and most of the return. You will also need a Henley to Twyford single for £3.20 (£1.60 child, £2.10 railcard). London-bound platform. Turn right down the station approach, crossing busy Shooters Hill at the bottom with care. Take The Wharf opposite, and keep to the footpath close to the Thames. At B471, turn left to cross the island-strewn Thames on the Whitchurch toll bridge (no charge for pedestrians). The current steel lattice toll bridge dates from 1902, and there has been a bridge on this site since 1792, approved by Act of Parliament – the toll house, still displaying the historic list of charges, is the 18th century original. 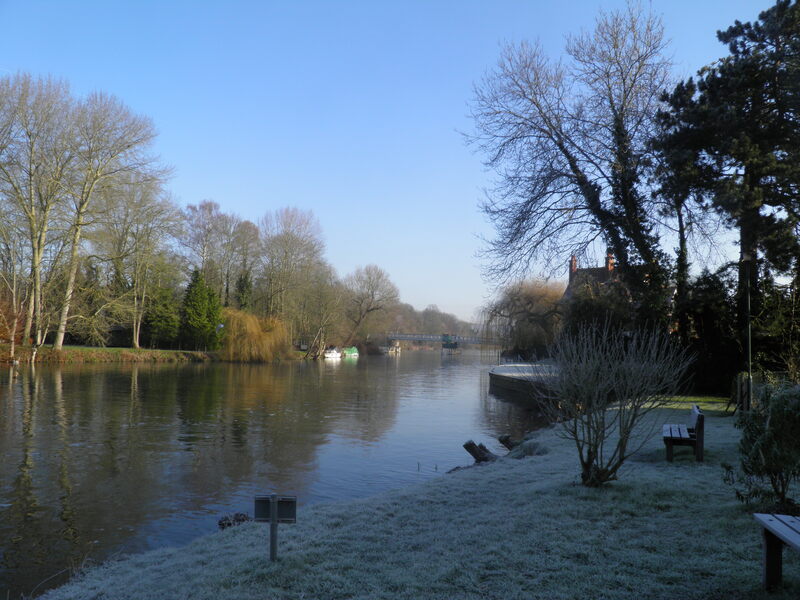 Before the bridge, Pangbourne and Whitchurch-on-Thames were linked by ferry. The bridge takes you from Berkshire into Oxfordshire. Cottages, take narrow path right (signed ‘To Church’), cut across the graveyard and join the drive by Waliscott Lodge to return to main road. Whitchurch’s parish church of St Mary has Norman roots, but was almost completely rebuilt in the gothic revival style in 1858, retaining little more than the Norman south door. Cross the road, turn left on the pavement and just before the Greyhound pub, turn right along Eastfield Lane. Follow this long, straight road past prosperous houses. At end of road, take the left hand fork towards primary school buildings and just before school gates turn left on broad path. This soon brings you out on a minor road along the valley floor, where you turn right. 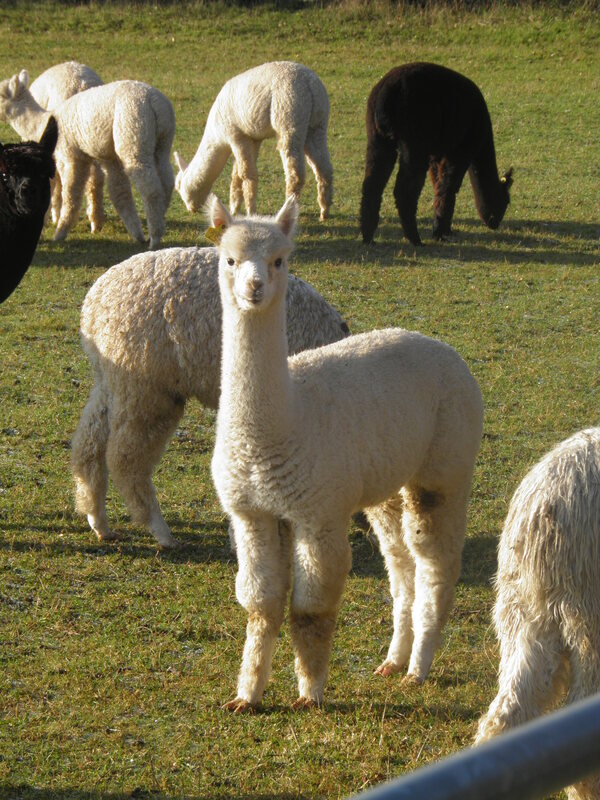 Follow road for a little under a mile – paddocks full of alpacas, looking remarkably at home in the Thames valley, have replaced the vineyard marked on the map. Where road swings sharp left, keep straight ahead through an ornate gateway and past lodge houses along the tree-lined drive through the Hardwick Estate, passing the timbered stud farm. 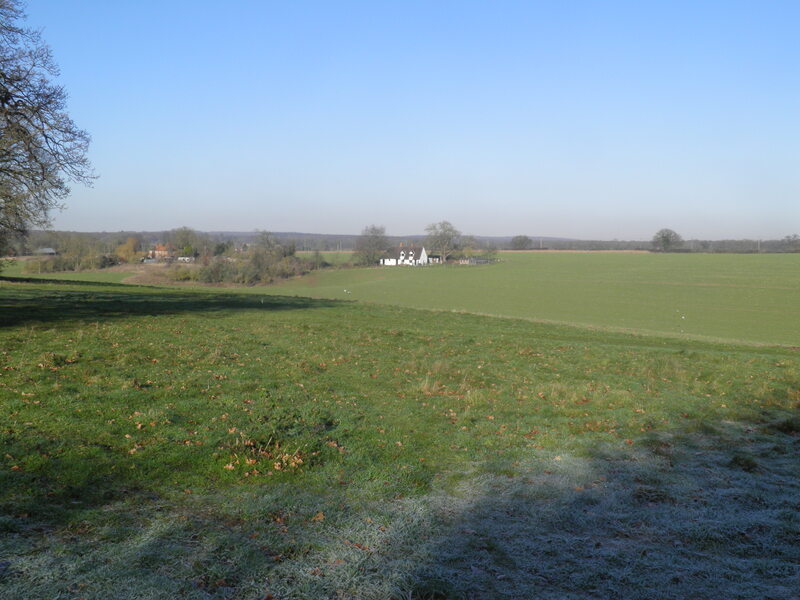 This is the parkland of Hardwick House, a Tudor mansion, now in the hands of the Baronets Rose of Hardwick. The first Baronet Rose is thought to be a model for Mr Toad in The Wind in the Willows, and the house to be the basis for Toad Hall. Coming to a junction of three parallel tracks divided by yew hedges, keep to the lefthand of the three. 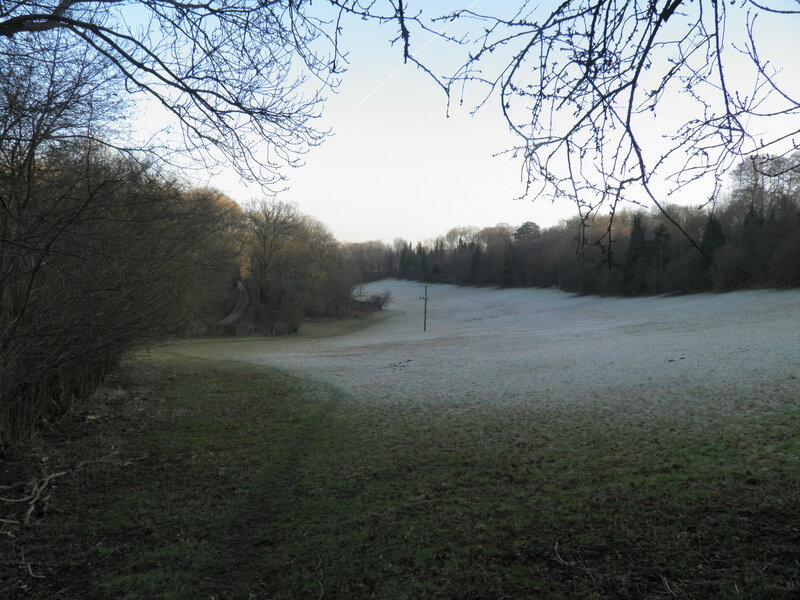 This track passes the mainly hidden Hardwick House, then runs along the hillside just above the flood plain, with the meandering Thames glinting below. Passing East Lodge and its gateway, the route becomes a clear path. 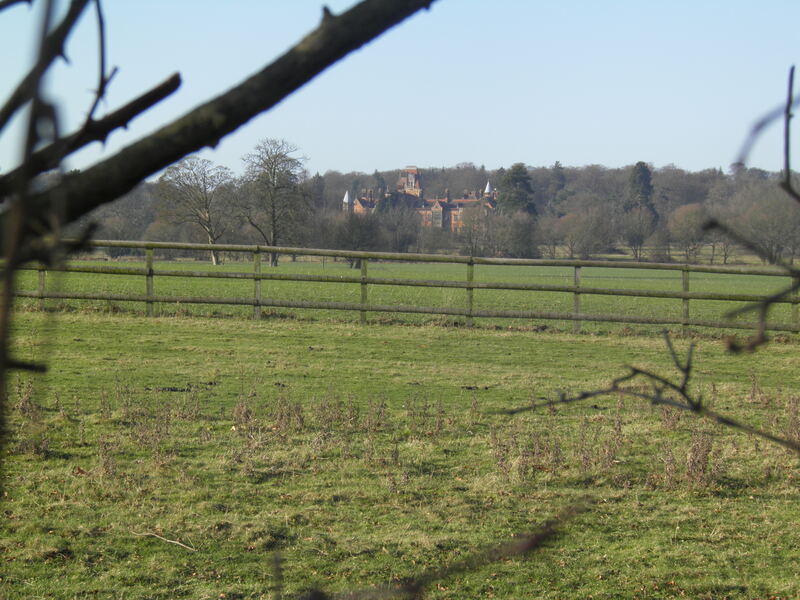 On reaching a small road, turn right towards the rooftops of Mapledurham ahead. By the lodgehouse at the entrance to village, the route turns L, but keep SA to visit village. 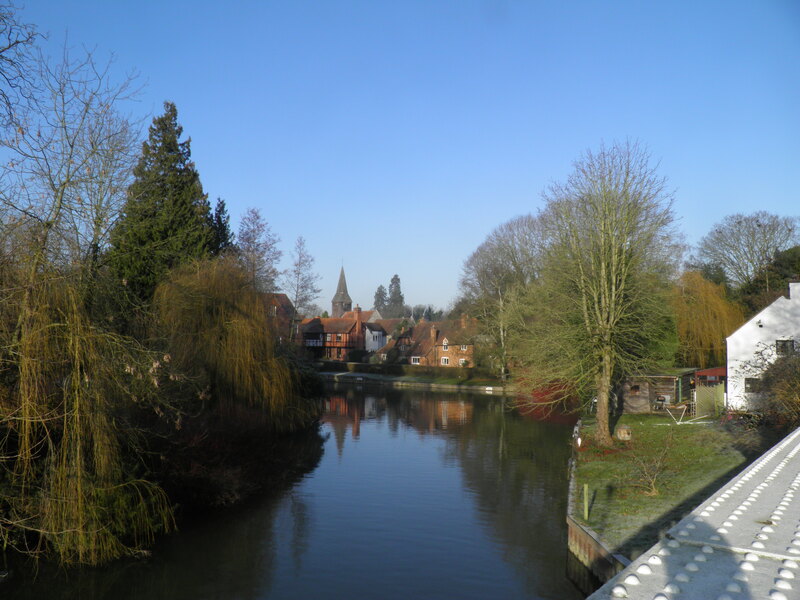 Mapledurham is a rather isolated Thameside hamlet, linked by just one dead-end road and with no river crossing. The name means ‘maple tree enclosures’, and existed as two manors at the time of the Doomsday Book. 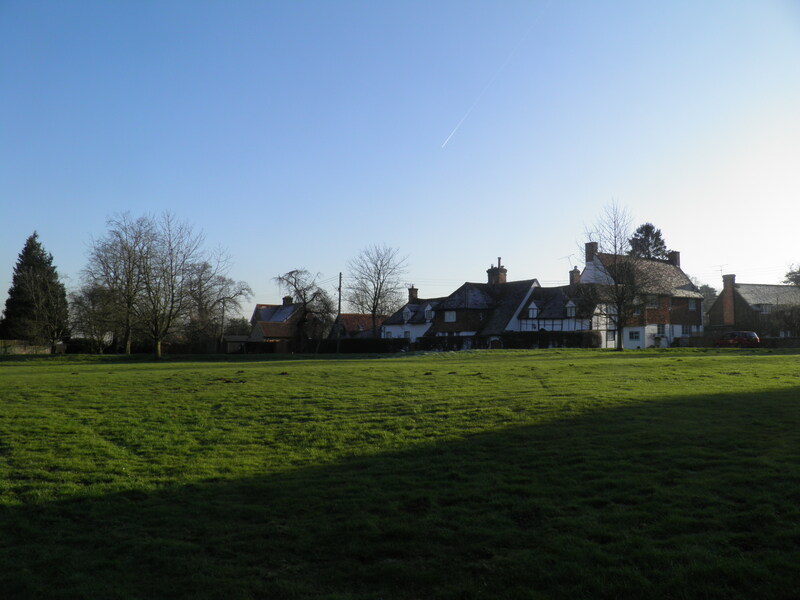 Today it is a quiet, picturesque village of almshouses and cottages clustered around Mapledurham House, one of the largest Elizabethan houses in Oxfordshire and its 14th century church. Across the road from the church is the last operational watermill on the Thames, still producing flour, using a new Archimedes screw set amongst the 15th century buildings. Perhaps Mapledurham’s greatest claim to modern fame is as a location for the 1976 cult war film The Eagle Has Landed, where it stood in for an English coastal village, featuring house, church and mill heavily. 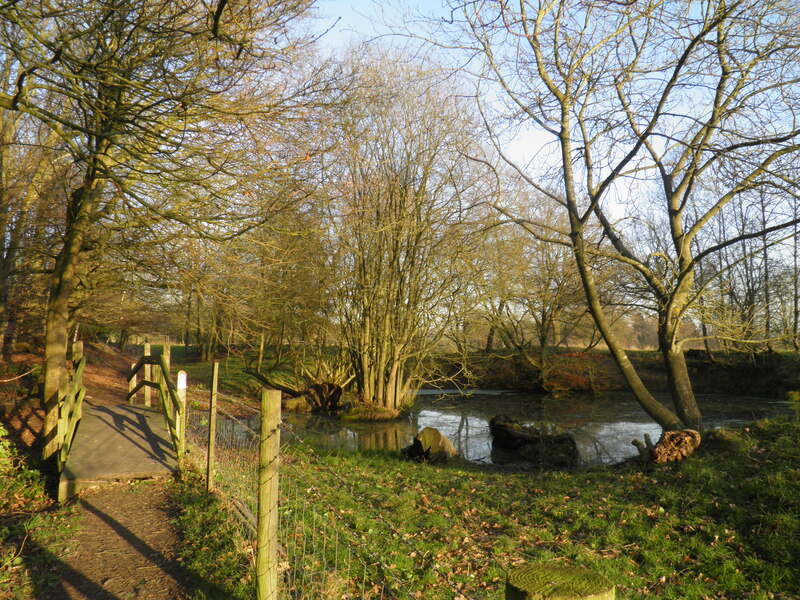 Return to the lodge and turn right on a concrete track, signed as a bridleway to Gravel Hill. Where the track swings slightly right, turn left over a stile (waymarked), cross the field ahead to reach a second stile into wood. The clear path twists through the woodland, with a couple of short, steep climbs, to eventually exit into open, high fields. A narrower, but still clear, path keeps straight ahead to a track junction. 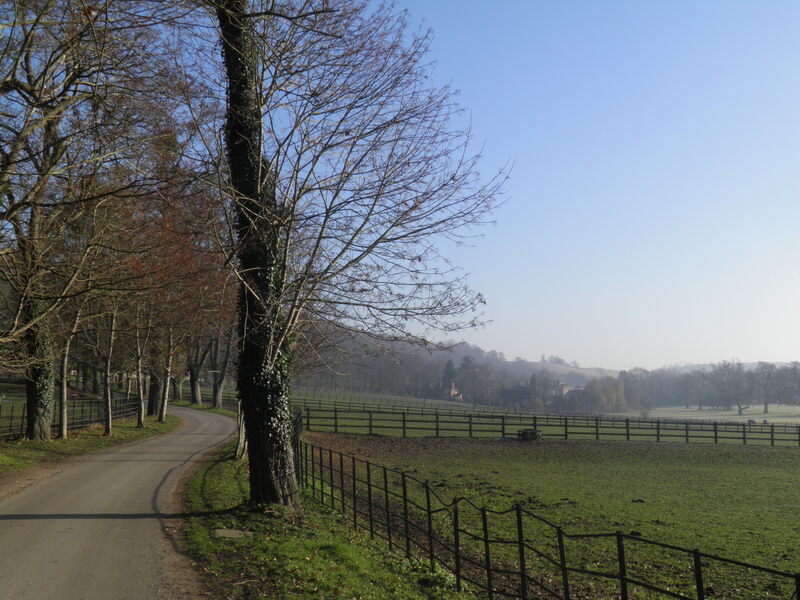 Take the track straight ahead towards the buildings of Rose Farm. Keep to the concrete track between farm buildings and where this ends, keep to the left hand waymarked track above the wood. 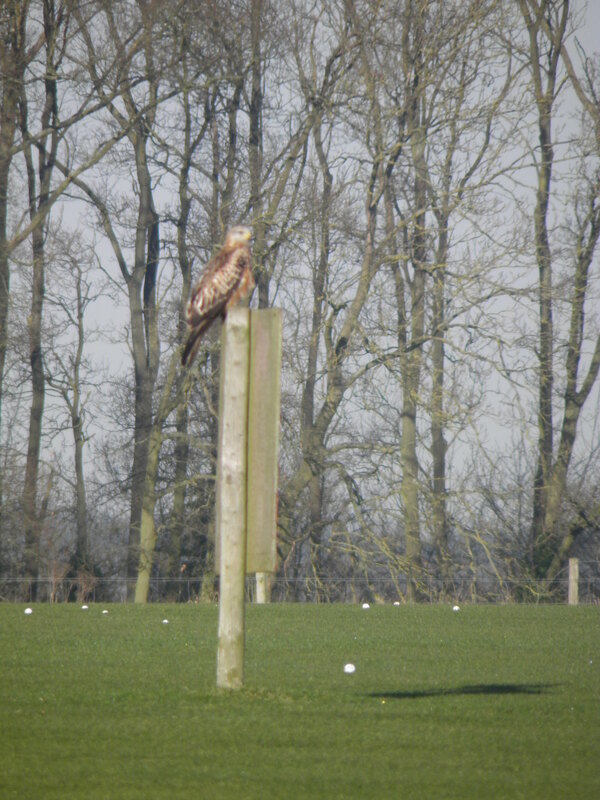 By the end of wood, turn left at a track junction, cross another track,then where the main track veers right onto golf course, keep straight ahead on a waymarked path which follows a row of trees across field. Pass through a field boundary and then follow a faint path across a large, often muddy field towards the white cottage of Pithouse Farm. Join the farm track and continue past Trench Green to a minor road. Turn right, and at crossroads keep straight ahead towards Tinkers Green. Keep to the tiny road past the fine thatched cottage at Tinkers Green to reach the busy A4074 Oxford-Reading road. Cross with care, turn left along the verge and very soon turn R on Mill Lane, dropping steeply into a small valley. At the bottom of the hill, turn left on an unsigned path just inside wood. Before long, you are back alongside the A4074. At the corner of the wood, by a fence post with a ‘Walkers Welcome’ sign, turn R on a faint path climbing through beech woods, keeping close to edge of wood. Once at the top of the rise, the path runs amongst the holly bushes which dominate the woodland floor. There are occasional painted white arrows on trees to confirm you are on the right route. The bridleway emerges onto a fenced path beside paddocks which leads out onto road. Turn right, towards the houses at Kidmore End. Just after a sharp bend to the left, turn left at the entrance to Myrtle Cottage, and immediately veer left again on a signed narrow footpath between hedges. The path cuts straight across a field and wood to join the minor Hazlemoor Lane. Turn left, soon reaching the houses of Gallowstreet Common. At the cross-roads, keep straight ahead (the Reformation pub is just to the left) on a minor road. The defunct village well, with winding equipment still intact, is on the right just after the junction. Where the road veers sharply left, turn right on a footpath, which immediately divides. 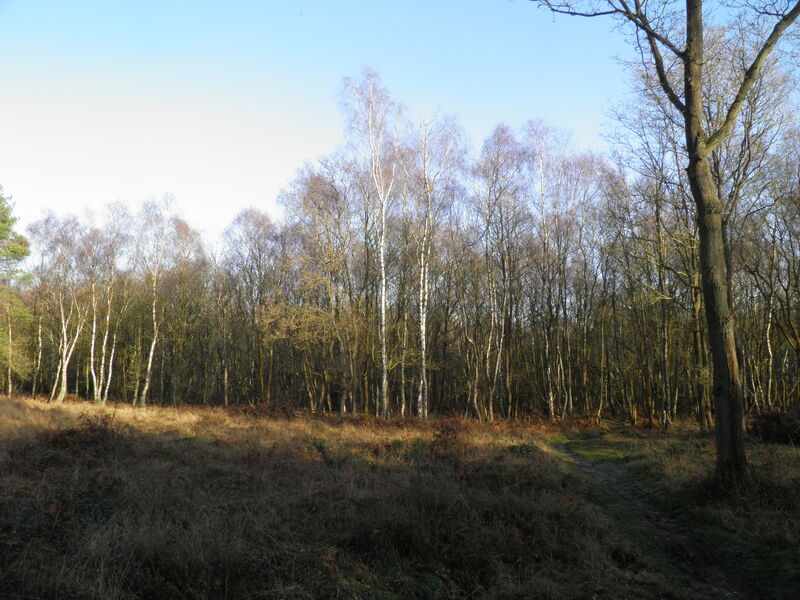 Take the middle of three paths, cutting through New Copse amongst tall beech trees. Keep straight ahead, following the white painted arrows. Eventually, these lead you out of the wood and along a rhododendron infested strip between fields. Just past bottom of a small dip, emerge into open field and head towards a white gabled house. Emerging on a minor road, head straight across on the driveway to Park Farm House. Pass straight ahead through a kissing gate and follow the hedgerow across sheep grazed fields. 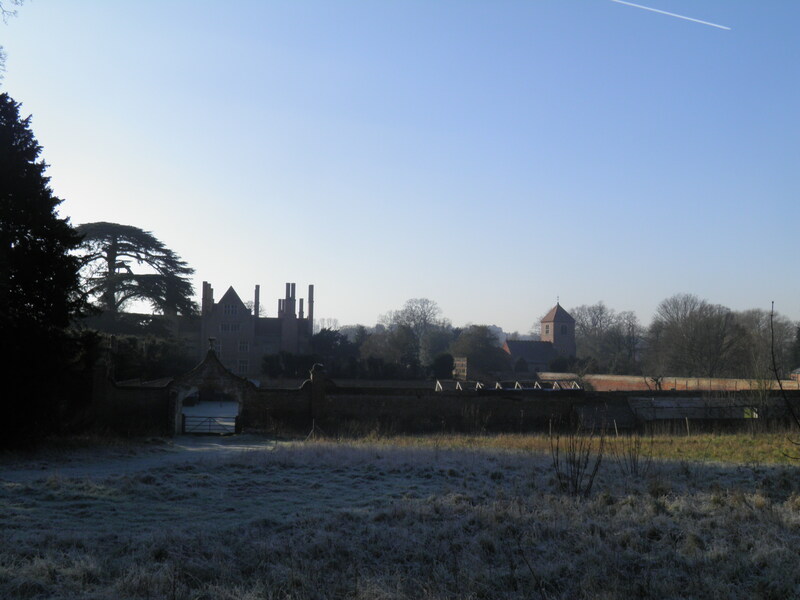 There are distant glimpses of the roofs of the vast Wyfold Court through hedges to the left. Wyfold Court is an immense French Gothic Revival mansion, built by a student of Westminster architect Charles Barry during the 1870s. It served a period as a hospital, before being restored as apartments and a country estate. A second kissing gate leads into a wood, with a clear path following the edge of the trees to arrive at a small group of houses. At a private tarmac road turn right, then immediately left (following a waymark) on a small path through the wood. Plentiful white arrows guide you through trees. On reaching a linear clearing along a telegraph line, turn left ,then quickly right to join a road just before a junction and cottage. Take the right hand road at the junction, marked as a dead end. By the second house (Holly Tree Cottage) take a bridleway signed to the right. 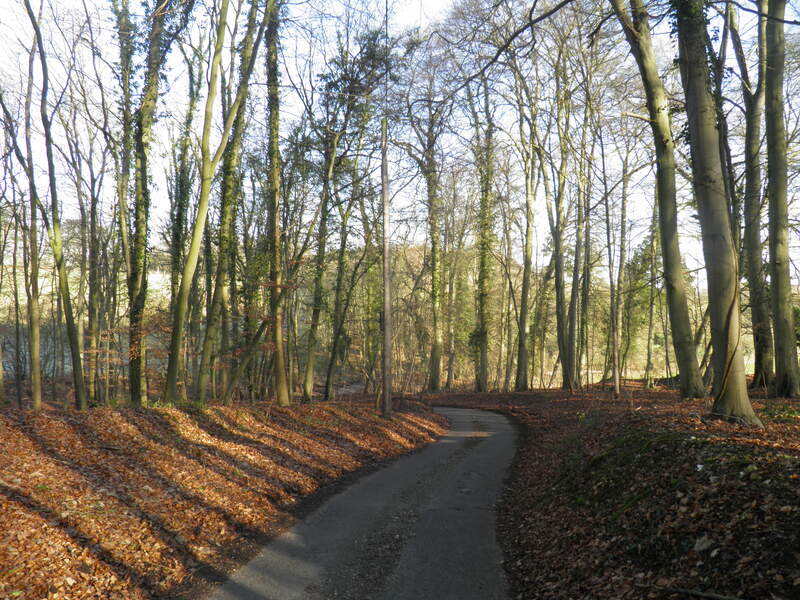 Keep straight ahead through the brackeny woods of Kingswood Common to a minor road by a small house called Colmore. Keep straight ahead, following a bridleway waymark along the edge of the wood. The path eventually drops steadily into small wooded valley (the right of way marked on the map doesn’t exist on the ground – keep to the route described here). At the bottom, turn left on a faint track. After about 50m, a second faint track forks right, climbing slightly. This swings right and ascends a little more steeply, eventually breaking out of the wood to some modern houses at Satwell. Cross the main road and take the minor road opposite to a junction by the 16th century Lamb pub. Turn left towards Highmoor and Nettlebed. Where this road rejoins the B481, turn right on a signed footpath into the woods. After about 200m, painted arrows on the tree mark a path junction. Turn right here, through a kissing gate into fields. The path keeps straight ahead across four fields, with good views north into the heart of the Chilterns. The path emerges in the eponymous open space in the centre of the picturesque hamlet of Shepherd’s Green. Keep to the north side of the green, past an attractive house called The Strip, cross a small road and take the signed, fenced footpath ahead. On entering the small Sam’s Wood, the path forks. Take the left hand path, cutting through the wood and then dropping steeply to Rocky Lane (ignore the permissive path signed to the right). Turn right and after 100m turn left on a footpath signed as the Chiltern Way Extension. The path very soon joins a tarmac drive which leads past the National Trust property at Greys Court. Greys Court is a Tudor mansion set in attractive gardens, including walled gardens, a maze and a 14th century fortified tower, the sole remains of a previous castle on this spot. At one point, the Court was owned by Mary Queen of Scots’ jailer. After the Greys Court entrance booth, veer left to a waymarked gate into a picnic area. From here, a series of gates leads to a small pond. By this, keep straight ahead at a waymarked junction (leaving the Chiltern Way Extension). The path curves around farm buildings and joins a tarmac track. Turn right down this for 10m, then follow the footpath waymark left to cross a small road and continue into woods. The path is often unclear, but there are plenty of arrows on the trees. Eventually, you arrive at arrows marking a path junction – turn right here, alongside a low earthwork. Ignore paths signed to left and right, to pass through a dip, eventually entering younger woodland by a farm. Exit the woodland onto a golf course. Waymarks lead you to a line of trees which you follow across the course. Where you come to the edge of a grazing field on the left, keep to the track beside it, then cross a stile onto a private road ahead. Follow the road, passing through a gateway. Immediately after the very modern Croft Cottage, turn left on a footpath descending to a road on a housing estate on the edge of Henley-on-Thames. Turn right, with views north to wooded hills, and then take the first right (Hop Gardens), passing some very fine Edwardian lodges. Immediately before Hop Gardens joins main road (by the gates of Friar Park, the former home of Beatle George Harrison), turn left on a smaller road paralleling it downhill. Pass the Row Barge pub and fire station to emerge on Henley’s attractive High Street, alongside the fine town hall. Keep straight ahead at a pedestrian crossing towards the church. 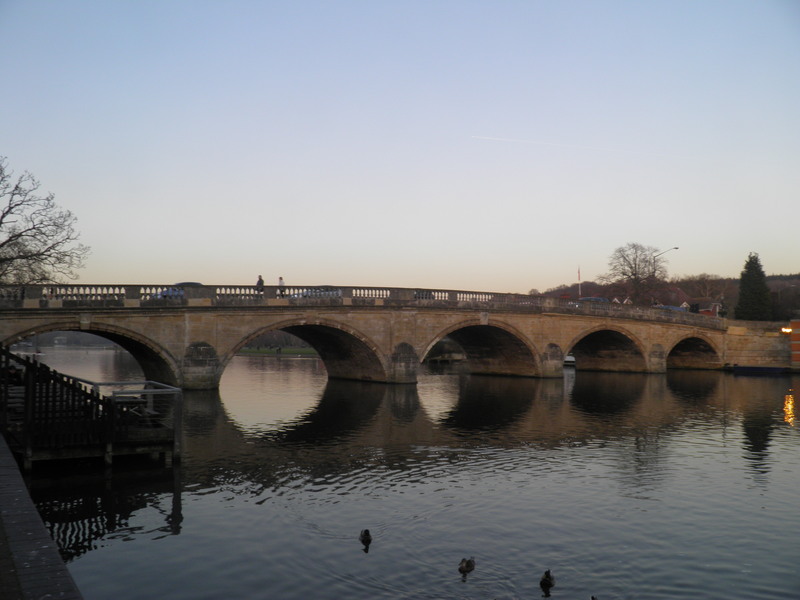 Past the large parish church you come to five-arched Henley Bridge, which carries the main road across the Thames into Berkshire. Don’t cross the bridge, but turn right along Thameside. Follow the road along the river bank, lined with hire boats, and follow it to the right where it turns away from the Thames. Opposite the former Imperial Hotel, turn left on a side road to arrive at Henley’s little terminus station.